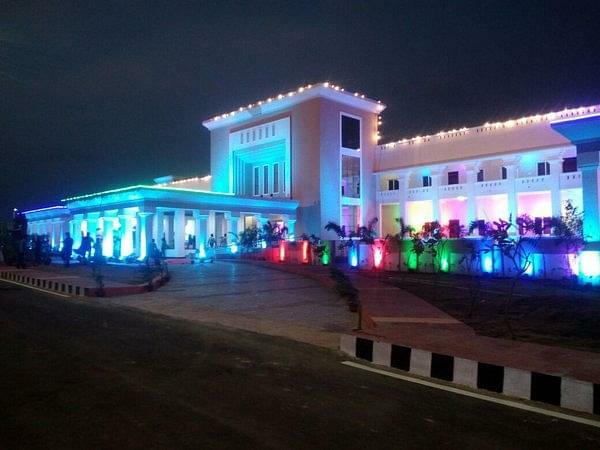 Utkal University of Culture (UUC) is a public university located in Bhubaneswar, Odisha. It was established in 1999 as ordinance which was later renamed as Utkal University of Culture Act. The university was recognized by UGC in 1999 and accredited by Association of India Universities (AIU) in 2000. UUC provides education, research and training in various spheres of culture; such as language, literature, religion, visual arts, performing arts, sculpture, architecture, folklore, tribal studies etc. It has also the exclusive right to grant affiliation to any college or institution which offers courses or programs in these fields. Admission: Admission to all the courses shall be governed by the rules and regulations framed by the University. Selections for admission are done on the basis of career marking i.e. academic record of the candidate. Unique Curriculum- UUC is the first of its kind in India offering courses in various spheres of culture such as language, literature, religions, visual arts, performing arts, sculpture, architecture, folklore and tribal studies. Extension Program- The University organizes workshops, seminars, symposia, colloquies, public lectures, panel discussions, conferences, extension lectures etc. to provide facilities and opportunities for students and researchers. Study Tour and Field Study- UUC gives ample opportunity to come in direct contact with the historic monuments, art objects, noted artists, important museums, private collection for preparation of the assignment papers, seminars and dissertation papers.